Need to scrap a wizarding event?... 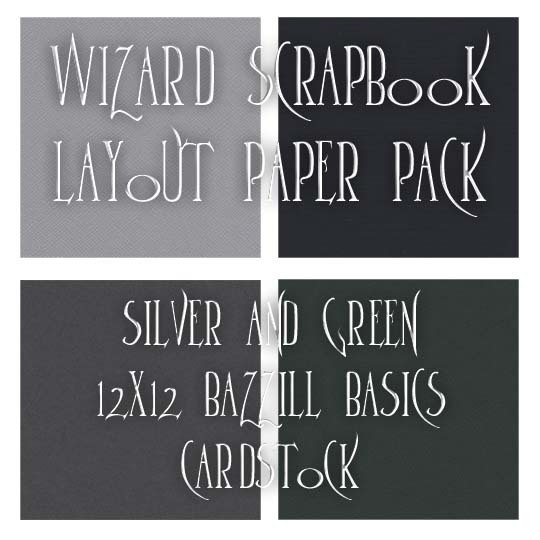 Look no further than my wizard scrapbook layout paper packs. 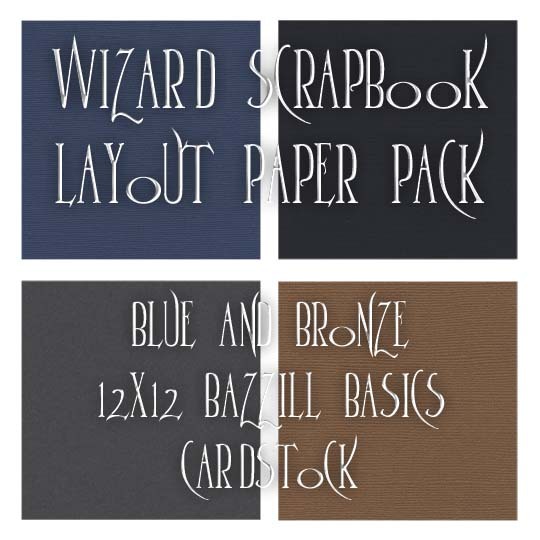 Whether you're looking to create a scrapbook layout for a book release party, movie premiere or your trip to Platform 9 3/4 (there is an actual place in London - King's Cross Station), I have taken the work out of finding the perfect match for your wizard scrapbook layouts by creating these unique paper packs. If you'll bear with me, I have to be somewhat vague in my descriptions, so the good folks at Warner Brothers don't send their lawyers after me. 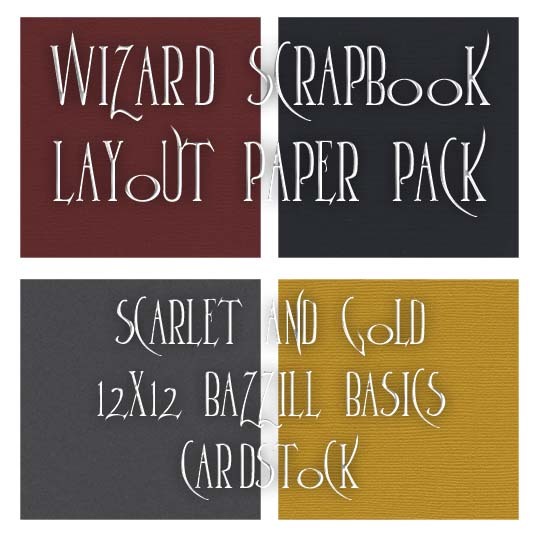 Each paper pack is designed to match the colors of each of the four wizard houses (scarlet/gold, green/silver, black/gold and blue/grey or bronze). 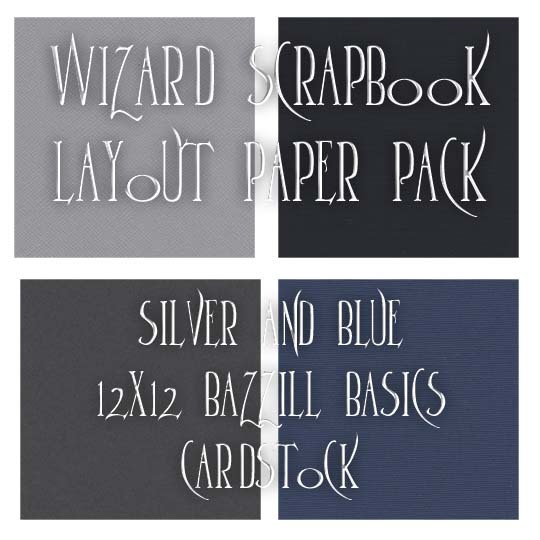 Each of these paper packs comes with 5 sheets of four standard wizard colors (two house colors plus black and gray) for a total of 20 (12x12) sheets of paper. 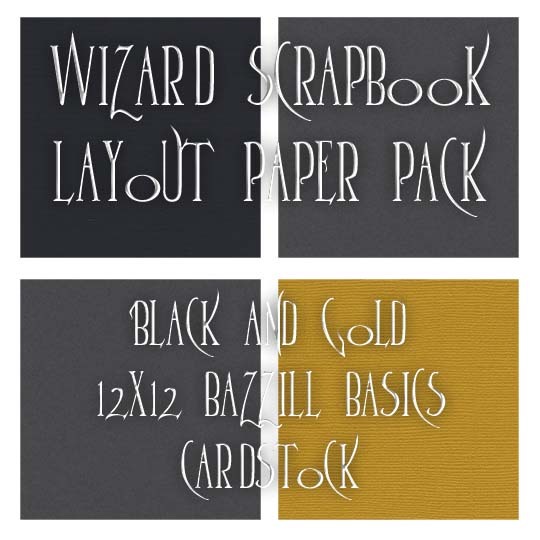 As I only believe in selling quality, acid-free scrapbook products, I have chosen to use Bazzill Basics Cardstock for these paper packs. You will find the texture and rich color of Bazzill Cardstock is without comparison in the scrapbook industry. Enjoy, and as always...Happy Scrapping!